Major transport projects across Australia are shaping up the transporting sector to be one of the major growth areas in the construction industry. Some of the key projects that are driving the transport sector forward include Sydney’s North West Rail Link and the M4 East Expressway Duplication, Melbourne’s East West Link, Sydney’s WestConnex and the $114 billion East Coast of Australia High Speed Rail Network. The expectations for this sector are increasingly rising, and according to a survey conducted by the Australian Industry Group/Australian Constructors Association, the value of work done is expected to increase by around 4.7 % in 2013/14 and by 12.5% in 2014/15. 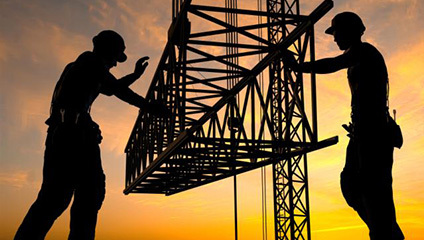 The Australian Construction Industry Forum (ACIF) also expects the value of work done to increase from $31.990 billion in 2012/13 to $35.568 billion in 2013/14. According to a nationwide analysis done by the ACIF, Queensland is expected to lead with major projects in the pipeline. The key projects include the Cross River Rail Link, Brisbane Underground Bus and Train Project, the Central Queensland Integrated Rail Project, the Moreton Bay Rail Link and the Gateway Upgrade North Project. Other states including Victoria, New South Wales, South Australia and Western Australia are also expected to see a growth in non-road as well as road transport activity. An increase in transport projects also promises more jobs in this area of the construction industry.